For some reason, and I’m not even sure where this came from, but word started spreading across the interwebs that the Motorola XOOM could potentially see MotoBlur at some point down the road. Again, no idea how this absurd and vicious rumor got started, but Moto has reached out to our friends at Phandroid to clear the whole mess up. The device is a “Google Experience Device” and will not be bogged down with some silly skin. They have no plans to put MotoBlur on it. Come on people, you are better than that. Update: It looks like Motorola can’t decide what it wants to do. In an interview with CNET, Moto’s director of Android product management said that MotoBlur will indeed be coming to the device at some point via software update. All I can say, is that it better be a couple of widgets or apps and that’s it. People are already unhappy with early price points, so slapping Blur on top of it might screw things up royally. And now that we have 15 different reports on this story, expect a more official response from Moto any minute. HTC Thunderbolt Will Launch at $250, Motorola XOOM at $799? 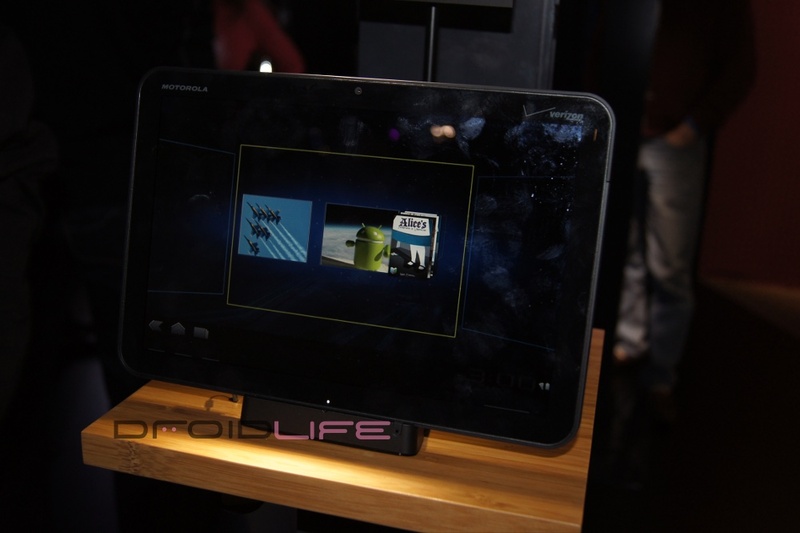 Friday Poll: Thoughts on Initial Motorola XOOM and Thunderbolt Pricing?